The volcanic personality of the Demiurge in the Old Testament is no secret, and we cover much of it. However, many overlook the reality that the Demiurge’s influence soaks the New Testament, even in many of the teachings and actions of Jesus Christ. We explore some of the questionable dogmas of the Bible that today influence Christianity and beyond, including prophecy, the Trinity, eternal damnation, and salvation by faith. 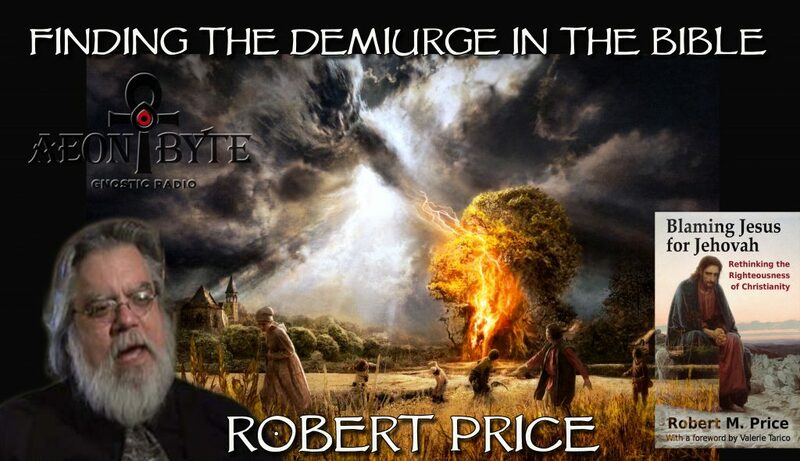 Our guest also discusses his debate with Bart Ehrman at the last Mythinformation Conference, the latest revelations on Mythicism and Gnosticism, and how he became a heretic in the Atheist movement. Astral Guest — Robert Price, author of Blaming Jesus for Jehovah: Rethinking the Righteousness of Christianity .